For a long time, malware was isolated to Windows due to its dominance in the computer market, eventually moving on to infect Mac and Linux computers (to a lesser degree). Now, malware presents a threat to mobile devices, including Android. Are you prepared? First thing you’ll be asking yourself is, how does malware get on an Android device? After all, most users only install apps through the Play Store, and Google keeps a tight watch over that to make sure malware doesn’t squeeze through, right? Not entirely. Suspicious apps have been known to make it onto the Play Store. And then there’s the whole issue with using a third-party app distributor to install cracked apps, which can also result in malware. 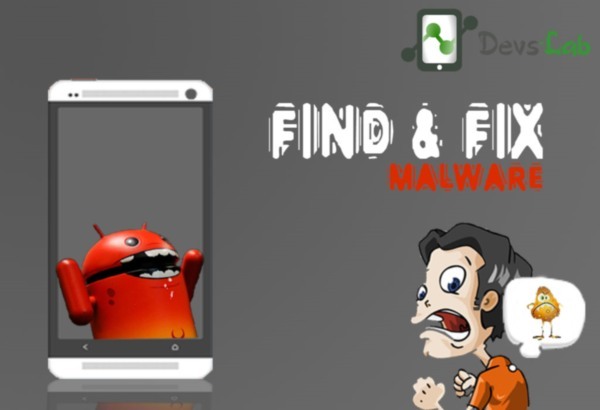 Today we will discuss some of the common signs of Malware infected Android device. Just like your computer, your Android phone starts showing some evil signs of Malware Once its infected. If your device is behaving strangely, like frequent lag issues and you haven’t changed anything in the past few days it could be a Malware virus. Poor Performance : Depending on your device’s Age & severity of Malware infection you might experience poor performance even after Rebooting your device. Poor Performance includes, Lag, delay in launching App, Too many Force close issues. Data usage : Generally unexplained data usage is the most common malware sign as lot of malware exist to collect your personal information like Credit card, Contacts & Back account details etc. All this data is transferred in the background without your permission. You can check if any App or any strange thing utilizing too much Data in background. Reduced battery life : Most of the malware are made to annoy the users by sucking up their battery by running in background. If you are facing strange battery drain issues, it could be a Malware. Auto drop Phone calls : Sometimes, you might observe random drop in phone calls this occur mostly due to Network issues. But its normal only if it happens sometimes not everytime. This could be a malware which is working in background. Quickheal Antivirus : QH Antivirus is one of the best Android security App in the market. It actually guarantees to remove all the infections from your Android. It stands at the top because it has a inbuilt Optimizer as well. It has one of the best interface and does the job pretty good. Avast mobile security : All of you might be well aware of Avast PC security. As it comes from one of the best Security software company, you can trust it. Avast! can scan your device manually or according to schedule. When browsing, it will detect and block malware-infected links, and it will monitor all incoming and outgoing traffic for threats. Other advanced features include anti-theft measures, a built-in firewall, and SMS/call filtering. AVG Antivirus security : AVG app will scan all new files and apps for potential threats, including malware, spyware, and viruses. On top of that, it can identify insecure settings and provide tips for plugging security holes. There are also some advanced features, like traffic monitoring and anti-theft measures. You can never stop malware if you keep downloading Apps or anything from unknown sites. The only way to stop malware is to stop downloading cracked softwares for your Android device, Stop plugging your phone to a unprotected computer. Check Developer’s record : Let’s say there’s an app you really want but there are no reviews on it and you don’t feel like waiting. You can always check the developer’s other apps to see if they have a reputable track record. If this is their first app, though, you’re back to square one and your best bet is to be safe than sorry. Third party App stores : The truth is, all app markets have some degree of risk to them. If the Play Store can let slip a few malware apps, then it’s safe to assume that no app markets are completely safe. At the very least, stick to the reputable ones like the Amazon Appstore. Rooted phones : For those of you who have rooted your Android devices, Be careful while granting superuser permissions to unknown Apps. If you grant Superuser access to every app that asks for it, then you’re just asking for malware to gain full control of your device. Perform regular Malware Scans through Mobile security Apps. Also check : How to increase Performance & battery of Android. Sometimes, its hard to remove a Malware completely. If a security App detects a Malware and even after uninstalling, it comes back. There might be another App in your phone that is downloading the infected everytime. Make sure you keep trusted Apps only. You don’t need to throw your phone for its poor performance because you are the one who have downloaded the Apps. Some Android users have never experienced any kind of Malware because of precautions. How do you keep your phone safe? Share your views in comment section. How to Increase Google Chrome Speed on Android & Windows PC.